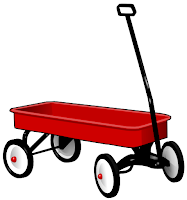 Take a determined woman with an idea, a little red wagon and a giving community. That woman with an idea was my great-grandmother, I can only imagine that the little red wagon may have belonged to my grandmother, and the community was the small Nebraska town where the family lived. The library started more than 100 years ago as a circulating library, officially becoming a library in the 1920's. My great-grandmother was a lifetime member of the library's board. Knowing how important the library had been to my great-grandmother, when he died, my great-uncle left money to the town to begin a fund for a new building for the library. Despite being a town of only around 1000 people, the town worked hard to raise the remaining funds necessary for the new building and ground was broken in 2003. By the descendants of my great-grandmother! Now if you visit the library, you will be reminded of one family's commitment to reading, when you plop down in a comfy chair in the center of the library named for my family. In this time of cutbacks that are so greatly effecting municipal libraries, if you have the means to do so, won't you please consider making a donation to your local library? And the winner of a copy of Zoe Heller's The Believers is Victoria! Congratulations! Cathedral, by Nelson DeMille, is a book I found in a box of books at my in-law's house in 1983. I remember when I found it because I know I read it before my husband and I went to New York City as part of a delayed honeymoon trip. To be honest, I can't remember details of the book, except to recall that I found it incredible gripping and amazingly detailed. "St. Patrick's Day, New York City. Everyone is celebrating, but everyone is in for the shock of his life. Born into the heat and hatred of the Northern Ireland conflict, IRA man Brian Flynn has masterminded a brilliant terrorist act - the seizure of Saint Patrick's Cathedral. Among his hostages: the woman Brian Flynn once loved, a former terrorist turned peace activist. Among his enemies: an Irish-American police lieutenant fighting against a traitor inside his own ranks and a shadowy British intelligence officer pursuing his own cynical, bloody plan. The cops face a booby-trapped, perfectly laid out killing zone inside the church. The hostages face death. Flynn faces his own demons, in an electrifying duel of nerves, honor, and betrayal…"
Those of you who have been reading this blog for a while know that this is not the kind of book that I usually read. But then you also have probably noticed that I'm willing to read a variety of books. This one takes place almost entirely in St. Patrick's Cathedral and I had rarely read a book that painted such a vivid picture of a place. So when my husband and I went to New York City in the summer of 1983, I had to go see the cathedral. I'm not sure my husband quite understood the attraction, after all, we're not Catholic. But as someone who has more than a passing interest in architecture, he was willing to play along. When we first got into the cathedral, I was immediately reminded that this was not just another tourist attraction. There were, of course, people praying in there. So we quietly went to a middle pew where we could get a good look at everything without being too disruptive. I was almost giddy to realize that the picture that DeMille had painted in my head was so accurate that I could vividly see the characters moving around the place just as the book had described. I've never re-read the book, nor have I ever read any other DeMille, but I still have the book. Because much as I have always loved to read, as many books as I had already read by that point in my life, that was the first book that had ever really made me realize that a vivid setting can be just as important to a book as the characters set in it. Thanks to Alyce of At Home With Books for hosting My Favorite Reads. An Interview with Kristen Tsetsi, Author of "Homefront"
Have I mentioned before how much I love blogging? I do; I love blogging. About a week ago, I was, once again, reminded of one of the reasons I love blogging. Authors want to talk to me! I had added to my blog that I was currently reading "Homefront" by Kristen Tsetsi. A couple of days later, I got an email from Kristen saying that she had happened upon my blog and was thrilled to see that I was reading her book. As an author of a self-published book, Tsetsi is in charge of her own marketing, so she was more than willing to do an interview. Yea! 1. Home Front is semi-autobiographical. What made you decide to tell your own story? Well, what makes it semi-autobiographical is that I couldn't have written it if I hadn't experienced a wait through a deployment. The events (minus the war timeline) and the characters are all fictional. Tim O'Brien writes in The Things They Carried, "Story truth is sometimes truer than happening truth." My personal story was not exceptional enough to be a novel; I didn't want to write about me. I wanted to write about the larger story, so I relied on fiction to convey the emotional truth of that larger story. What made me want to write it, though, was that there were a number of books - fiction and nonfiction both - delving into the soldier experience, but there was little (if anything) that made readers feel with equal intimacy and rawness the complex emotions plaguing those who don't know from one day to the next whether the person they love most will be killed that day. 2. Like Mia, you were a cab driver for a time. The down sides to that seem pretty obvious. Where there any things about the job you liked? I absolutely love driving. I used to try to snag my sister's Big Wheel before my legs were long enough to reach the pedals. When I was a little older, I would take advantage of any opportunity to steer my dad's car. I even wanted to grow up to be a truck driver or a school bus driver. 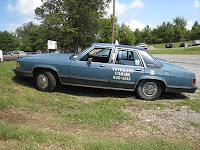 So, the driving part of cab driving was a lot of fun. And the experience itself is one I'm glad I had. Cab driving was something I'd always wondered about, and now I don't wonder, anymore. 3. Was there a real Donny? There are real Donnys everywhere. Anyone who has ever met a troubled Vietnam veteran knows Donny Donaldson. I did know a man over a decade ago who said he was a Vietnam vet, and who inspired the Donny Donaldson character, but the two are different people. 4. Since Home Front does deal with real events in your life, were you concerned about any of the people portrayed in it being upset with you? What has been their reaction? 5. Your writing style is very unique in this book. When you started writing was it a conscious decision to mix in the very short bits with the longer, more traditional sections? Yes. I wanted every passage, every chapter, to read in such a way that Mia's mood would be immediately obvious. I also didn't want to write a traditional novel - I wanted to play with writing and form and language and everything that is fun about writing. Poets are usually the ones to take full advantage of that freedom, and I saw no reason not to be just as free in a novel. I wanted to be able to end a paragraph mid-sentence, or use one word per line, or write half a page of narrative without a period - anything that would best convey the thought processes and intimate moods of the narrator. So, I did. 6. Between reporting and writing short stories, you've had to develop the ability to tell a story in short form. What made you decide it was time for a novel? What was the biggest difference between writing short stories and writing a novel? At some point, my short stories started feeling like they could be longer. Or, maybe it's that I was suddenly able to envision them continuing beyond the final page. After Ian (my boyfriend at the time, and my husband, now) returned from Iraq, and after enough time passed that the memory of his absence began to poke at me as a story needing to be written, I knew the year he was away was such a complex and powerful experience that it would take something the length of a novel to communicate it. Novels are more difficult for me. I developed a big love for short stories very early on because they're so densely packed, so intense, and so intentional, that there's a constant challenge to whittle the whole thing down to, essentially, a climax. I never thought I would be able to write a novel because there's just so much FILLER. Words and words and words and words...the "what next" and "what now?" are my primary source of novel-writing frustration. But when I remember each chapter is essentially a short story, it gets a little easier. 7. What made you decide to self-publish? I wanted the book to be available to them so they would have a companion, and I wanted it to be there for those who talk about war like it's a story on TV. I want them to know the people whose lives are affected, and in what way they're affected. And I'm not talking about being left alone having to take care of a house - I'm talking about the way a regular day is affected when up to fifteen emotions clash in any number of combinations on a daily basis. I'm talking about what it means for there to be no such thing as a "regular" day. When approached through a blog survey I created, spouses and significant others were quick to respond to my questions about what they go through when their loved one is deployed: sleep loss, anxiety, depression, and sometimes a wall between family and friends who can't understand what they're going through. Of course, all of the responses were anonymous. (I'm always sure to include significant others with spouses because love doesn't begin at marriage, and often if you're not married during a deployment there are certain privileges they're not entitled to.) The one question I didn't ask that I wish I would have is, "What thoughts and emotions do you have that make you feel guilty?" Because I know I had many of them (which I included in one way or another in Homefront) that would be difficult to talk about. 8. Can you tell us what inspired Backward Books and how you got it up and running? How do you draw authors to Backward Books? Henry Baum (author of North of Sunset and The American Book of the Dead) and a man who chose to leave to pursue other ambitions were actually two of the first people behind Backword Books. They invited me in, and then came the rest. Henry and the other man had the idea to bring together a group of authors who would be a mutli-armed marketing force. Because independent publishers (or self-publishers - whatever your preference) don't have the benefit of a publisher name behind them and, as a result, their books aren't likely to show up on bookstore shelves across the country, the more people there are to create a buzz about the writing, the more likely readers are to hear about it. As for drawing authors to Backword Books...those literary authors we've asked to join have said yes readily, for the most part. We look for someone who not only has a good book (we look at any published reviews, and then one of us reads the book), but who is also an active promoter of his or her own work. We want people who will write a blog now and then, who will help brainstorm marketing ideas,who will take part in group ideas (such as interviews, virtual book tours, appearing on radio shows) and who will share relevant links and news with their friends and acquaintances. Those who don't want to actively market end up losing interest in being a member. 9. Can you share what you're working on now? I'm working on my second novel, The Year of Dan Palace (working title). Dan Palace experiences a sudden awareness that he may not have long to live. From that moment on, he behaves as if he has nothing to lose, and his relentless quest for his own happiness wreaks havoc on the lives of those who care about him. 10. Do you have a guilty pleasure? As the book opens, Jake is preparing to deploy to Iraq. His 26-year-old live-in girlfriend, Mia is already on edge about how she will deal with his absence. She tells him she's not even sure she'll be able to write. After Jake's gone, Mia (who used to be a college professor) tries to return to what passes for a normal life when you've been moved to a city where you only have one friend and the only job you've been able to find is as a taxi driver. One day she picks up as a fare Donnie, the Doctor, Donaldson. Donnie takes an immediate liking to Mia and asks for her to return to pick him up when his work shift is over. When she does, she finds a very inebriated Donnie who is at one minute overly solicitous and the next verbally combative. Donnie is a Vietnam vet who bears the scars of the things he's seen and the way he was treated when he returned from that war. Mia finds herself unable to say "no" to Donnie as he, time and again, pleads with her to spend time with him. Although Mia occasionally feels uncomfortable with Donnie, theirs is, for the most part, a platonic relationship fueled by massive amounts of bourbon. Meanwhile, Mia's friendship with Denise is tried when she begins to suspect that Denise, who she has believed to be the perfect soldier's wife, is having an affair. And dealing with Jake's mom, Olivia, who calls her son "Jakey," is almost more than Mia can bear. Soon Mia finds herself unable to work, unable to stop watching the news, unable to care for herself or her cat, and unable to stop drinking. She longs for Jake to call but can't bring herself to pick up the phone when he does. She can't wait for his letters but finds herself unable to write. When she discovers that Jake has email, she uses it to vent her frustration. Jake may be in Iraq but Mia finds life as the one left behind every bit as difficult. Home Front is not an easy book to read; it's difficult to watch Donnie battle his demons and both Mia and Denise fail at being left on the home front. But this is a story that no one else seems to want to tell which made it a story worth reading for me. Tsetsi writes from experience (she was left behind when a loved one went off to war) and the result is a book that is raw and realistic. Tsetsi also combines her straight-forward prose with bits that are almost stream of consciousness which makes for a very unique story telling style. Tomorrow I'll post an interview with Tsetsi where she'll talk about her writing style, her own time as a taxi driver, self-publishing and starting Backward Books, a group of self-published authors banded together for marketing purposes. Surrey, England at the turn of the 19th century as depicted by Jane Austen in "Emma"
What fictional world would you like to hang out in? In light of the football season winding down (you will soon find me reading much more once there are no games to watch), I thought it might be fun to have a Super Bowl of sorts between what constitutes women's literature and what makes a book a "guy" book. Isn't it interesting that, while there is a genre called "women's literature," there is not genre titled "men's literature." Certainly there are plenty of men out there that read literature. And there are, to be sure, books that are primarily aimed at a male audience. Are they never considered "literature?" Or is it a matter of women being just as likely to read what might qualify as "mens' literature" as a man whereas men rarely venture into the world of women's literature? I know a lot of women who have read a lot of Cormac McCarthy but no men who read Sophie Kinsella, for example. Is it really a case of "men are from Mars, women are from Venus?" Do books which aim at our emotional core (such as Jodi Piccoult's do) appeal more to the more emotion-driven females and books which are more action driven (such as Robert Parker's) appeal more to the psyche of men? I wanted to do a little research into this to see if I could some up with some answers to these questions. Guess what? No matter what search query I put in, I couldn't find a single article or site that explored this issue. Even when I tried to simply look for information on "writing for men" or "writing for women" I got nothing. Zip. Zilch. Is it even possible that no one has explored this? Has it simply been a marketing thing? "Let's see. This book is full of action and has a lot of male characters. Therefore, we will market it to men. We will give it a dark cover and a tough name." Or "This book is focuses on relationships and it's very character driven. It must be for women so we will put pink on the cover and give it a gripping (or quirky) title." Surely that's not the case. So what do you think? Is there any such a thing as "guy-lit?" Shawn Klomperan's "Two Years, No Rain" certainly struck me as "guy-lit" since it's protagonist was male and the book primarily focused on the relationships in his life. But I don't know very many guys to whom I would recommend the book. Is that being sexist? Is the assumption that guys are more likely to enjoy a sports book sexist? And why is it that even women, for whom "chick-lit" is clearly written, are often embarrassed to say that they read it and often won't read it in public? This is starting to read like the book that was recently released that is composed entirely of questions. It's actually not what I imagined the post would be like when I started typing. But I find that I've got more questions than answers. Help! Speaking of Robert Parker, both he and his fellow Cambridge, Massachusetts native son, Erich Segal (of Love Story fame) passed away this week. Segal has not written a best-seller since Love Story but Parker has continued to be successful and I know many people, my mom among them, are sad to know there will be no more adventures of Jesse Stone or Spenser (does this guy even have a first name?) and no more wonderful western tales. Playing Catch up (Again!) With Awards! I received this award from Sheila, at One Person's Journey Through The World of Books. It signifies all the bloggers out there who constantly work hard to keep an updated and insightful website. They aren’t afraid to take a bite with their honest reviews and enjoyable content. You amaze me, you inspire me so I call you a blog monster. 1. Michelle at The True Book Addict. 2. Kath at [insert suitably snappy title here...]. 3. Heather from Gofita's Pages. 4. Michelle from Michelle's Masterful Musings. I got this one from Kath, at [insert suitably snappy title here...]. Since I've gotten this one before, I thought it would fun to take this chance to introduce you to Kath if you haven't already met her. Kath lives in Taiwan (she followed a cute guy, don't you know!). She's a caffeine addict working on a Master's degree in literature. Kath's favorite book is "Wuthering Heights" and she's joining us in The Gilmore Girls Challenge partly because she wishes she was like Lorelai Gilmore. Be sure to check out her blog! I got this one from Michelle at The True Book Addict. Michelle calls herself a non-traditional college student because she's back in school in her early 40's and majoring in history and English. 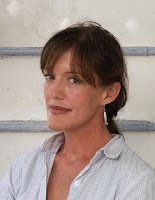 Which goes a long was to explaining why she's recently decided to focus her blog on historical fiction. Besides being a book addict, Michelle is also a challenge addict so it should come as no surprise that she is also hosting a challenge, The Michener Challenge. Over the holidays, Michelle also hosted a blog called The Christmas Spirit. From Michelle: The Christmas Spirit blog is still going on. Stop by every month on the 25th (including tomorrow) and all of July (Christmas in July) for some year-round Christmas spirit! Be sure to keep on eye on all of her blogs! Kate is a 20-year-old mother of a baby girl, happily settled down with a man she loves after a less than idyllic life growing up, when she is diagnosed with breast cancer that has metastized. Sunshine is based on a true story which happened in the early 1970's so treatment of cancer was much different and survival much less likely. Kate is given the option of having her leg amputated or taking chemo. The pills make her angry and sick and Kate makes the difficult decision to stop all treatment and live her remaining months to the fullest. As she does so, she tapes hour after hour of things she wants her daughter to know when she is gone. I first read this book after I saw the made-for-television movie (of course there was a movie, right?). As I did with the movie, I cried and cried as I read the book. Here was a young woman, not much older than me, who died. Do you remember being that age? You don't think anything can kill you; then, once in a while, something comes along that makes you realize your own mortality. This book did that for me. I have no idea whatever became of my copy of this book and it is, sadly, no longer in print. I would love to read it again, as an adult and a mother, when I might have a different perspective on the choice Kate made. Although I still can't imagine making the choice to stop fighting, knowing that your child will never remember you as anything more than a voice on tape. 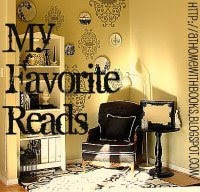 Friday Favorite is done in conjunction with Alyce of At Home With Books' My Favorite Reads. Becky Sharpe of William Makepeace Thackerey's "Vanity Fair." On the corner of the residential area lay a group of stores the likes of which is extraordinarily rare these days. There was a drugstore, a butcher shop, a soda shop, a delicatessen, and a barber shop/beauty parlor. Kearns Goodwin writes “the shopkeepers were as much a part of my daily life as the families who lived on my street.” The families didn’t just hand down clothes and toys from their own older children to the younger ones, they passed them from house to house. New York, in those days, boasted three major league baseball teams. As they were throughout the city, team loyalties were divided in Kearns Goodwin’s neighborhood, loyalties that families carried with them from their boroughs of origin with the Bronx being the home of the Yankees, Manhattan the home of the Giants and Brooklyn being the home of the Dodgers. These loyalties were passed from generation to generation and Kearns Goodwin’s father passed to her his passion for the Dodgers, even teaching her to keep a score book when she was only six years old. She would spend her afternoons listening to the games on the family’s Philco radio and keeping score so that she could replay the entire game for her father after dinner that evening. Kearns Goodwin intermingles the histories of the teams and players with stories of life in the suburbs from the late 1940’s through the 1950’s when life began to change—the corner stores were driven out of business and the neighbors began moving away. Kearns Goodwin writes of growing up watching the color barrier being broken in baseball when her beloved Jackie Robinson joined the Dodgers, watching the McCarthy hearings on television, learning what to do in case of a nuclear attack, becoming aware of the growing civil rights movement, and of watching both the Dodgers and the Giants leave New York. Kearns Goodwin writes beautifully. I felt as though I were sitting with her listening to her tell me of that long ago time. The book wasn’t entirely what I expected. I had imagined the book to have even more to do with her love of the Dodgers and her father and less to do with the rest of her life. Although she has included detailed accounts of many games, which I often skimmed over, overall Kearns Goodwin does a marvelous job of combining American history, baseball, and her own personal memoir in a book that is charming and nostalgic. Okay, Mom--I know you're out there, lurking! You and Dad should really send me your impressions so I can let everyone know what you thought of this as well. Joel and Audrey Litvinoff first met in London in 1962 when he was already a respected radical lawyer and she was a young girl just beginning to form her own ideas. One night they met and the next day she asked him to take her back with him to the U.S.
Forty years later, the Litvinoffs are icons of the left wing, both revered and reviled. They've raised two daughters and an adopted son as atheist, protest marching, liberals. Daughter Rosa has given up her revolutionary ways and is pondering a life of Orthodox Judaism. Daughter Karla, a social worker, is married to a union leader whose union has just joined forces with **gasp** a Republican. And son Lenny seems to be a hopeless drug addict. When Joel suffers a massive stroke and slips into a coma, a secret is revealed that will make Audrey question everything she has always believed about Joel and her marriage. Audrey is no saint to begin with and the whole situation makes her even harder to be around. As she continues to act as an enabler for Lenny, she gets even nastier about Rosa's exploration of religion and Karla's weight. As the entire family deals with Joel's condition, they fight amongst themselves and with almost everyone else they come across. And each of them is forced to make some decisions about what it is they truly believe in. Rosa's exploration of Judaism makes sense to her emotionally but not intellectually. Karla believes her marriage is the best she can do for herself but she can't make herself do the work needed to begin the adoption process her bully husband is so gungho about. When an opportunity to find love presents itself, she has to take a long look at herself. Even Lenny makes an attempt to find a clean life for himself. Can I just say, right up front, that Heller knows more big words than Merriam or Webster. Heller also does a marvelous job painting a picture--when Karla walks into her parents' home to find out that the maid hasn't been in a more than a week and Audrey hasn't even bothered to remove a pan of chicken soup that's been on the stove for nearly that long, I almost gagged. Heller does keep the story moving along, only occasionally getting bogged down, mostly when writing from Rosa's point of view. She's also skillfully combines humor and sadness. What I had a hard time with was connecting with the characters. 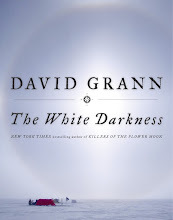 As one reviewer said, if you have to like the characters in a book to like the book, this is not a book you'll enjoy. None of the characters Heller has created are particularly likable. Which isn't especially important to me--I grew quite fond of Olive Kitteridge it must be said. So I was willing to go along for the ride except that, at some point, you also have to care what happens to the people in the book even if what you are hoping for is disaster. At one point, it seemed that Audrey had a major revelation about her own character and it seemed that things may take a turn for the better. "How had she ended up like this, imprisoned in the role of harridan? Once upon a time, her brash manner had been a mere posture - a convenient and amusing way for an insecure teenage bride, newly arrived in America, to disguise her crippling shyness...But somewhere along the way, when she hadn't been paying attention, her temper had ceased to be a beguiling party act that could be switched on and off at will." But she only seems to grow angrier. When Lenny has become sober and is contemplating a life without her, Audrey rips his choices to shreds. Karla turned out to be my favorite character, mostly because I felt like she was the character that learned the most about herself and really moved forward. "Depression, in Karla's experience, was a dull, inert thing - a toad that squatted wetly on your head until it finally gathered the energy to slither off. The unhappiness that she had been living with for the last ten days was quite a different creature. It was frantic and aggressive. It had fists and fangs and hobnailed boots. It didn't sit, it assailed. It hurt her. In the mornings, it slapped her so hard in the face that she reeled as she walked to the bathroom." Writing like that's what pulled me through the novel, regardless of how I felt about the characters. Wednesday, January 27, 2010: Steph and Tony Investigate! Monday, February 15, 2010: Book Club Classics! Now for that giveaway! I have one hardcover copy of "The Believers" to giveaway. Just leave a comment telling me your favorite unlikable character. Leave a separate comment with your email, which I will not publish, so that I will know how to get a hold of you if you win. If you're a follower, please leave that in the comment as well. Drawing will be held January 28th. In light of tomorrow being Martin Luther King, Jr. Day and with the recent success of Kathryn Stockett's "The Help," a celebration of books focusing on the Civil Rights Movement seems to be in order. Although not a novel, The Autobiography of Malcolm X as told to Alex Haley tells the story of another advocate of rights for black Americans who was often at odds with King and whom some called a racist. He was born in Omaha, Nebraska and by the time he was 13 his father had died and his mother had been institutionalized. In 1946, he was sentenced to prison where he became a Muslim. When he was released, he became one of the leaders of the Nation of Islam until conflicts with Elijah Muhammed, the head of the Nation, caused him to leave the nation. Less than a year later, after denouncing racism, Malcolm X was assassinated. "Civil Wars," by Rosellen Brown tells the story of a white couple who supported the Civil Rights movement but must face bigotry in their own home when the husbands bigoted sister dies and leaves her children to them. "Bombingham" by Anthony Grooms is Grooms debut novel and uses extensive flashbacks to chronicle a young man's journey through the fight for civil rights in Birmingham, Alabama as he is composing a letter to a dead comrades parents during the Vietnam War. "Meridian" by Alice Walker is the story of a young woman attending college in Atlanta trying to find her place in the battle for racial and social equality. Along the way she learns that there are boundaries she will not cross but no limit on her commitment to finding nonviolent methods to affect change. "Mudbound" by Hillary Jordan, winner of the Bellwether Prize, tells the story of life in the Mississippi Delta in 1946 through the eyes of several people including a family of white landowners and some of their sharecroppers. In memory of Dr. King and the efforts of so many people, I encourage you to check out one of these novels or one of the many excellent non-fiction choices which focus on the battle for civil rights. Published April 2008 by Henry Holt & Co.
Jenna, 17, has just awoken from the coma that she has been in for more than a year following a terrible accident. She has no memory of the mother and grandmother that she is living with or the father who made his fortune in biotechnology and who spends most of his time across the country. Fortunately, Jenna was a treasured child and much of her life has been preserved on video discs; there's a disc for every year of her life. But Jenna has no recollection of any of the events on the discs and has no connection to the girl in videos with the same name. Gradually memories begin to return. Most of them are very detailed memories of very small parts of her life. But there are also memories of friends that are no longer in her life. And the memories begin to create more questions than they do answers. For one thing, why can she remember whole passages from Thoreau but not remember what her old room looked like? And why can she remember being in her mother's womb? Jenna's also trying to figure out why her grandmother does seem to like her (something she's sure wasn't the case before the accident), why her parents won't allow her to return to school and why her room and clothes seem so impersonal. The answers will come from everyone and everything around her. Set in the not too distant future, California has experienced the "big one" and much of that state has fallen into the ocean, leaving what's left badly damaged. Planting of non-native species of plants has resulted in the extinction of many native species of trees, shrubs and flowers. Overuse of antibiotics as resulted in super viruses that cannot be contained by any medication. A world-wide virus has killed millions of people. Because of this, an ethics board has been set up that is in charge of governing medical technology and to set up a point system for all lifesaving technology. The reader is asked again and again to question the choices that mankind has made. This is the first true YA novel that I have read since I was regularly reading YA novels in my youth. It did take me a while to adjust to that level of storytelling. But this is definitely not a book that talks down to young people or that would strictly appeal to young people. It deals with the very grownup issues of ethics and what constitutes a "soul." It asks the question, how far would you go to save someone you love? This book does contain some plotting issues that bothered me. For one thing, why does Jenna enroll in school under her own name if her family is so well known and she's supposed to be in hiding? Also, there's a neighborhood boy who is also a schoolmate of Jenna's that poses a threat which is never resolved. But the pacing and writing are so well done, that I was able to overlook these things. Midway through the book, Pearson reveals the big truth about Jenna. What, I thought, is she doing? Why would I want to keep reading now that I know this? The answer is because Pearson is not done with the reader yet. Knowing the "what" does not reveal the"why" and only serves to make Jenna's situation appear all the more perilous. I highly recommend this book for anyone high-school aged or older. In keeping with my tradition of picking Friday Favorites that have been made into movies, here's another one for you. Although I'd bet that most of you have never seen the movie--and maybe never heard of the book. I don't remember when, exactly, I read Evelyn Waugh's "The Loved One." I'm certain I picked it up in the library and equally certain that I had no real idea what I was picking up. I don't recall if it was because Waugh is also the author of "Brideshead Revisited" and I assumed I was getting something in that vein. What I got was definitely not something having to do with the British aristocracy. Instead Waugh has, in "The Loved One," turned his satirical bite on the Hollywood way of life and the American way of dealing with death. British ex-pat Dennis Barlow is working nights at the Happier Hunting Grounds pet cemetery (while aspiring to be a poet by day) and living with his uncle. When his uncle is fired from a Hollywood studio, he commits suicide and Dennis is called upon to plan the funeral. The arrangements are to be made at the Whispering Glades Cemetery (read Forest Lawn here), the poshest cemetery in town. While working on the funeral, Dennis meets Aimee, a junior cosmetologist and soon finds himself competing for her attention with the sinister Mr. Joyboy, the senior mortician. Would you believe me when I say that this book is funny? No? Okay, maybe not laugh out loud while you're reading funny but it is funny in that way that makes you snort just a little bit. The movie version, directed by Tony Richardson (father of Joely Richardson of Nip/Tuck fame) was made in 1965 and starred Sir John Gielgud, Jonathan Winters and Robert Morse with appearances by James Coburn, Roddy McDowall, Milton Berle, and even Liberace. While not completely true to the book, the movie is also very funny and billed itself as the movie with something to offend everyone when it came out. My Favorite Read is hosted by Alyce of At Home With Books. Be sure to check out Alyce's site on Thursdays to find out what her favorites are. There is a different topic each week, which will be posted here. You write a post on your own blog about the topic. The post will be a list of 3 books pertaining to the topic. So, for example, if the topic were, say, 3 Books That Make You Want to Go Shopping, you would write a list of 3 books that when you read them made you want to max out your credit card. I have no idea what those books would be, but you get the picture. You may include photos with your lists, especially if that helps illustrate your point. You link back to the week's post here on Lost in Books in your post so if someone else wants to play, they can find their way here. Then you come here and leave your link in the Mr. Linky so other people can find your post and your list! 1. Any of the Stephanie Plum books by Janet Evanovich. 3. The Bright Side of Disaster by Katherine Center. After laughing my way through this one, I can't wait for to read her latest, "Get Lucky."